Item # 302961 Stash Points: 1,499 (?) This is the number of points you get in The Zumiez Stash for purchasing this item. Stash points are redeemable for exclusive rewards only available to Zumiez Stash members. To redeem your points check out the rewards catalog on thestash.zumiez.com. 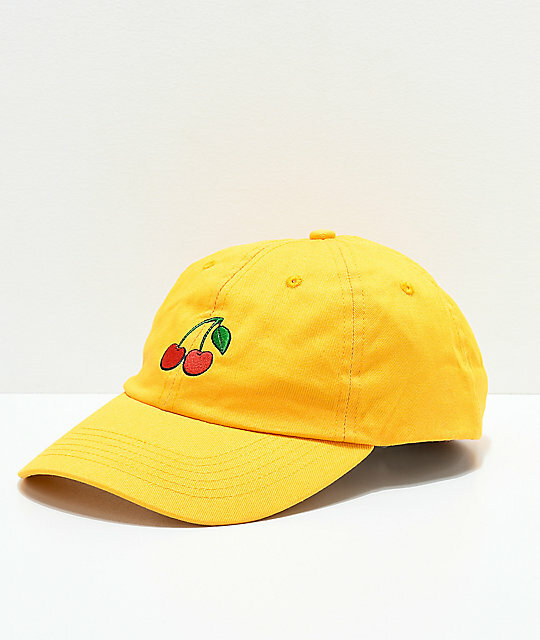 For a fun addition to any casual outfit, add the Cherry Yellow Strapback Hat from Desert Dreamer to your headwear collection. The Daisy Strapback hat is made in a yellow colorway and features a red and green cherries embroidered at the front crown of the hat. An adjustable strapback sizing piece is located at the back for a customized fit. 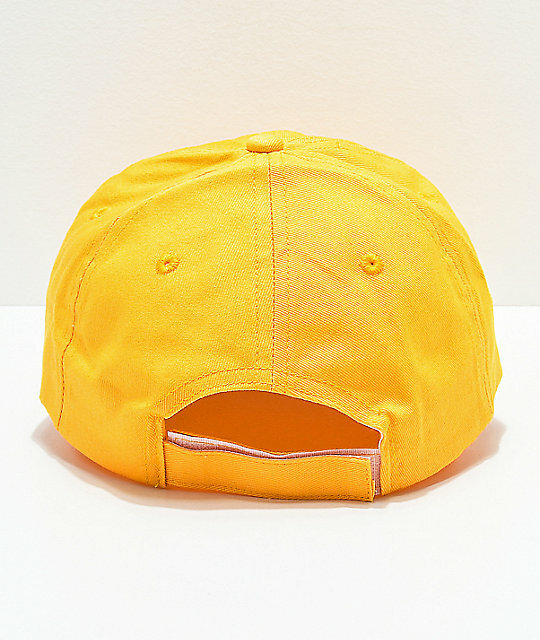 Cherry Yellow Strapback Hat from Desert Dreamer. Cherries embroidered on front crown. Adjustable hook and loop strapback sizing piece for a custom fit.